In fishing terms it’s probably easier to ask where Dave Lewis hasn’t been on this glorious earth rather than trying to work out exactly where he has been! 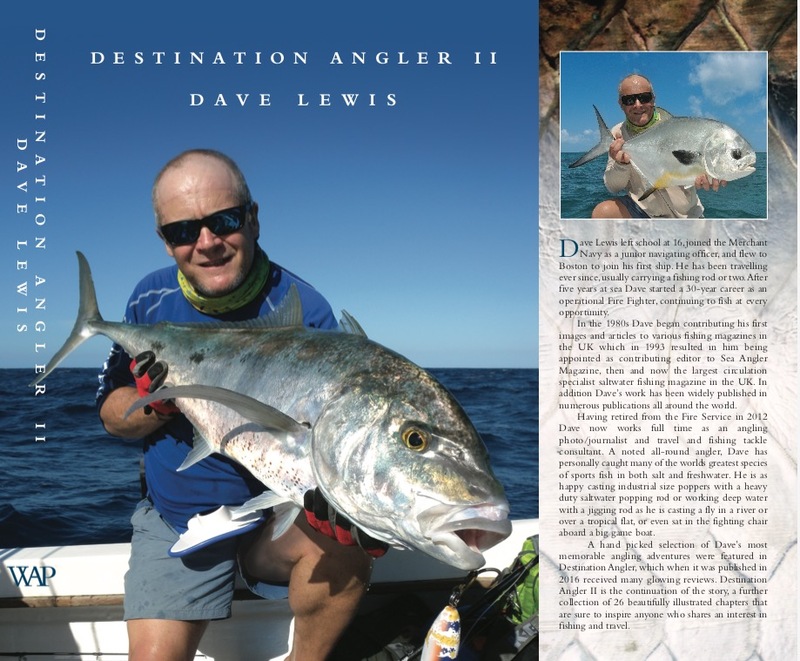 If there is a better travelled angler or fishing photo journalist out there then I am not aware of him or her, so I am really pleased to have “Destination Angler II” here, the sequel to Dave’s excellent book “Destination Angler”. I reviewed the original one here a couple of years ago now and I kinda got the impression that there were a hell of a lot more stories and photos on Dave’s archive and brain to let sleeping dogs lie and not produce another fantastic worldwide fishing book that I defy any angler with any interest in what is out there not to enjoy…………..
“Destination Angler II” is the continuation of what Dave started in the original Destination Angler book, and I love how time time around there is a wonderfully personal and amusing foreword by his wife Alison. She sounds like a complete star to me. If you are looking for an excuse to find out more about some of the fishing that can be done around the world and/or you need to nudge your better half with some ideas for your Xmas present then look no further - this book is it (you can buy it via here). Dave Lewis writes in such an approachable and engaging way, and I can’t help but be drawn towards a book like this. There are loads of photos of fish and locations, and it’s fun to see a few photos in there of a very young and fresh-faced looking Dave Lewis, but to me it’s so much about Dave’s writing and how he so engages me and gets me turning those pages. There are no heirs and graces and never for one second do you begrudge the guy for all these wonderful experiences he has so obviously had via his outstanding (and bloody hard) work in fishing - nope, instead you can’t help but be swept along on the journey through the book and come out the other end with another heap of destinations you simply have to go to! It’s a skill to write like this and Dave is extremely good at it.